Custom Work Orders can easily be customized to include your logo, business name, address and more. 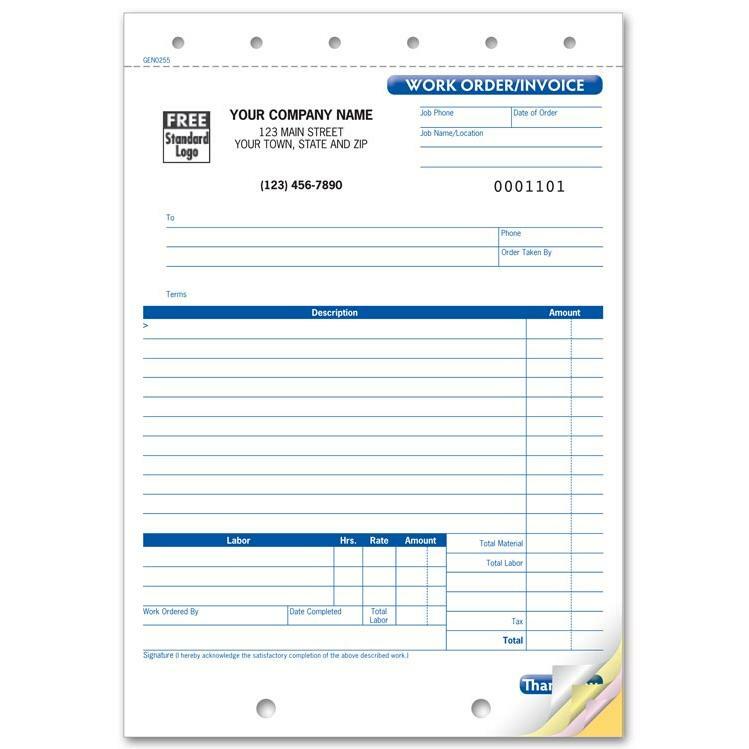 The entire form can be unique to your business. Upload you file or request a custom design. It's printed on carbonless paper in 2, 3 or 4 parts. The last copy is a durable manila tag card stock. 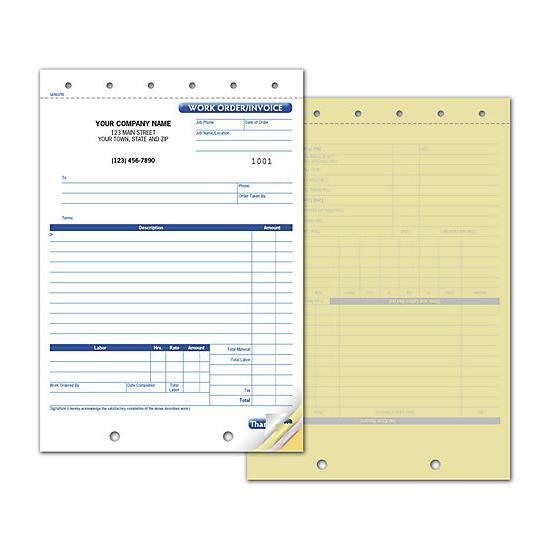 This work order template has a large enough area for you to write the work description and labor. The is 6 3/8 x 8 1/2" with a snap set format. It can be used for jobs like flooring, computer repair, contractor jobs and more. Call now if you have any questions 1-800-492-1218.